The air handling systems in a typical office building account for around 28% of the electricity consumed and the cooling systems account for about 24%. About half of your electric bill. Use of Variable Frequency Drives could reduce air handling and cooling energy costs by 20%. 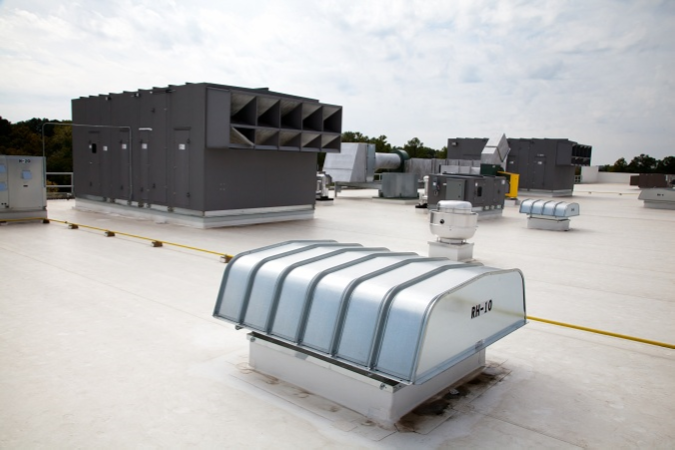 Drives reduce fan noise and duct rumble– reducing tenant complaints. Drives reduce amps during motor starting, lowering demand charges—another significant part of the electric bill. Inherent soft-starting reduces wear and tear on motors and other system components. Conditioned air volume that is based on how many people are in a space at any given time. Free cooling when outside temperature and humidity permits. Supply fan horsepower reduction when conditions in a space call for a reduction in airflow. A verified and balanced system that is responding to the current use of the facility. Timely alerts to shifts in performance. Remote monitoring and correction for all equipment.